A healthy sense of confidence and strong self-esteem is essential for living a life of mental health and becoming an active, positive member of society, so it’s no surprise that this is such an important part of childhood development. Here is some helpful advice from our nursery school near Craighall to help build these traits. Love and affection: It might sound obvious, but expressing your love and affection for your child is a great foundation for their self-worth. Holding your baby, hugging your child, and telling them you love them all reinforce the relationship of unconditional love that they need to build a confident foundation. Meaningful praise: Praise is very important for building confidence, but don’t praise something unless it is deserved. It’s just as important to give positive feedback on achievements as it is to gently and kindly teach your child that it’s okay not to be the best at everything. This encourages them to develop the drive to put practice and effort into developing their own skills and valuing hard work. Encourage independence: It’s instinctive to want to rush in and save our children from every single thing, but this can make your child fearful and scared of failure. A good way to help develop independence and a sense of adventure is to set your child up in a safe environment where they can make decisions on their own. For example, making sandwiches together for lunch, trying new foods, or exploring a child-friendly park while you watch from a safe distance. Be consistent: Rules and boundaries are an important part of raising a child and, when they know what is expected of them, they feel confident in what they are and are not allowed to do. These rules change from family to family, and should change as your child grows, but as long as they are applied consistently your child will feel secure. Be a good role model: Parents are the most influential role models for children, and they will try and mimic what they see in you. Focusing on body positivity, believing in yourself, rewarding yourself for achievements and practicing on yourself what you are trying to teach your children will help them develop that confidence in themselves. At Doodlebugs Play School near Craighall, we know that this is a critical time of learning and development for your little one and we aim to support it through a holistic curriculum that teaches through fun, safe and age-appropriate activities. With plenty of peers to play with, extensively trained crèche and professional child care staff members to oversee all activities and a fun, childproof environment, we’re looking forward to bringing out the best in your child. For more information on our daily routine or to visit our day care centre, please contact us today. We look forward to meeting you and having your child join our family! Breastfeeding? Read this childcare advice! For working moms, going back to the office after having a baby can be a very tough decision – and if you breastfeed your child, that can mean extra complications when you drop them off at day care. Here are some tips from our childcare centre near Hurlingham. Talk to your care provider: Some child care centres are experienced at dealing with this issue and others are not, so it’s important to inform them that your child will require breastmilk while at day care. They need to know how to store it, how to prepare it for your baby and how much your baby will require through the day. 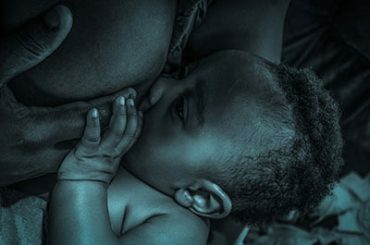 How much breastmilk is needed through the day: This differs from baby to baby, and will affect how much you need to pump and provide each day. On average, babies drink about 700-750 ml a day. For a typical day at day care, you may need around 300ml of breastmilk depending on your child, if they are going through a growth spurt, and their feeding schedule. Some moms can pop in and breastfeed at lunch, which is a great way of reducing your need to pump and bonding with your baby. Top up in the mornings: One good idea is to try feed your baby at the day care when you arrive in the mornings, even if you have already just fed your child. Again, this reduced your need to pump, makes it easier for the day care, and means fewer bottles to clean, fill and store. Label everything: Talk to your child care centre about how you should deliver your child’s bottles, the labelling they require and their policies on storing excess breastmilk on the premises, as some are unable to do so. Practice makes perfect: This is a big adjustment for any mom as well as your baby, so start to ease into the process of pumping, storing breastmilk and bottle feeding your baby at least two weeks before day care starts. 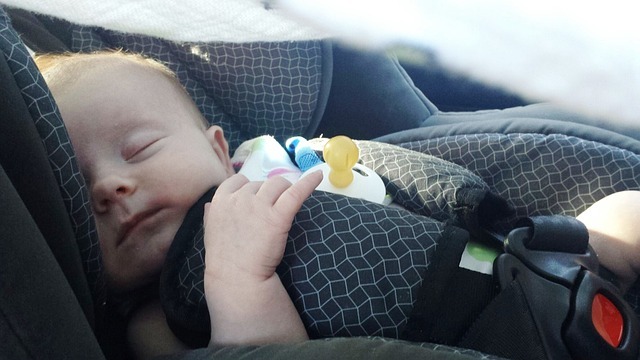 Some babies have difficulty adjusting to bottles and some moms struggle getting enough milk out with a pump, so this is a good time to get used to the process without putting yourself under more pressure. 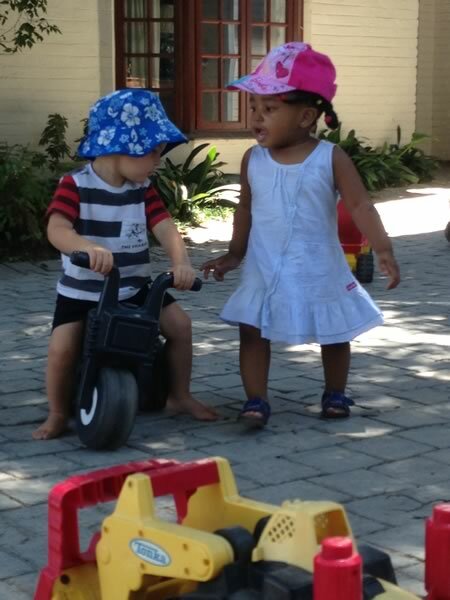 A crèche and playschool near Hurlingham filled with fun and love! At Doodlebugs Play School, we offer a safe, educational day care centre and play school near Hurlingham for your baby or children from 18 months to 4 years old. Fully supervised by our qualified, loving staff, our professional child care and holistic educational curriculum ensures that your little one will have fun, learn and explore the world in a safe and caring environment. To find out more about our daily routine or to visit our playschool, please don’t hesitate to contact us for more information. Building social skills is an essential part of early childhood education that teaches them how to seek and develop relationships with peers, teachers and other people around them. Every child develops at a different pace, but there are some things we can do to help guide children in this area. 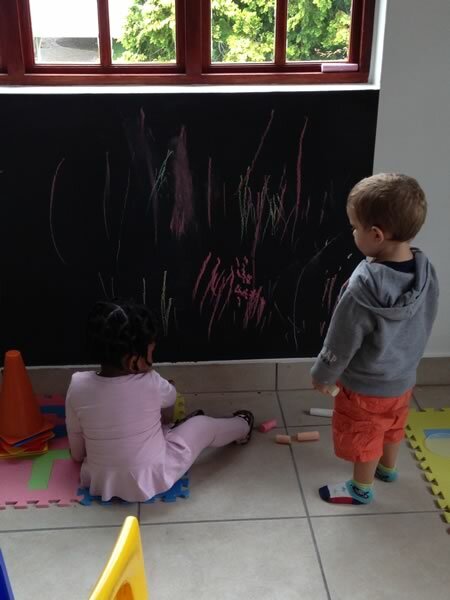 Here are some tips from our play school in Sandton. In order to recognise if your child is struggling or not, it’s important to know how their social skills should be developing. Generally, 2-3 year old children can seek attention from those around them, and initiate it through verbal or physical interaction. For example, saying “Hello” or bringing a toy over to play with. They usually look at the person who is speaking, take turns talking and respond to interactions appropriately, like laughing at something silly. 3-4 year olds are a bit more advanced in this area, able to take turns in games, play-act with toys in an imaginative way as though they are alive, and use more words to explain what they want from another person. Having the time and space to play with another child is one of the best ways to supervise and encourage socialisation, especially if they don’t have siblings. This should be used as an opportunity to teach manners, to take turns and share with others. The key is to make it a calm but positive event, and to start with short play dates at a time of day when your child is alert and rested. Talk through the play date with your child, explaining what is going to happen and how fun it will be. You can set out an activity that both children will enjoy, and keep an eye on their interactions together. Any minor setbacks like not wanting to share or grabbing something out of the other child’s hands should be treated as a learning opportunity where you can gently explain the right thing to do. This is a good way to teach empathy (for example, asking your child how he or she would feel if the play dough was snatched out of their hands), social overtures (for example, how to ask mom for something without interrupting), and taking turns (for example, waiting until their friend has finished with their biscuit before resuming play time). At Doodlebugs Play School, we offer a safe, loving day care centre and nursery school environment in Sandton for your baby from 18 months to 4 years old. Fully supervised by our qualified, loving staff, our professional child care ensures that your little one will have fun, learn and explore the world while giving you complete peace of mind. To find out more about our daily routine or to visit our nursery school, please don’t hesitate to contact us for more information. When is the right time to start looking for a crèche? Choosing a crèche is a big decision and top crèches are in high demand, so it’s no surprise that many new parents feel stressed about finding the right professional child care centre for their little one. Here is some helpful advice from our crèche near Parkmore. Start early: If you are going to be a working mom and need your child to go to crèche as soon as your maternity leave is finished, start looking as soon as possible. Three months before your baby is due is a good guideline – not only does it mean that you can look around without having to manage your baby at the same time, it also means that there’s one less thing to worry about! Get on the waiting list: Many desirable crèche’s offer waiting lists for parents to ensure a spot is booked for their little one. Space is limited in order to ensure that each baby gets lots of attention and love from trained caregivers, so be sure to confirm that you are on the waiting list, the deposit is paid (if needed) and that your details are correct in their system. Don’t feel rushed: Starting your search for a day care early is a good way to ensure that you get into one that suits you and your baby. You can take the time to look around, evaluate the different options and even do a dry run to see if it works with the location of you and your partner’s work and home to make sure things go smoothly in the mornings. Do lots of research: Speak to family and friends about the day care centres they go to, visit crèche’s in your area to see how they operate, and go to open days so that you can meet other parents and find out what the facility offers. Be sure to talk to them about the daily routine your child will have at the crèche, their hours and when/if they close during the holidays. At Doodlebugs Play School, we offer a safe, loving day care centre and crèche near Parkmore for your baby or children from 18 months to 4 years old. Fully supervised by our qualified, loving staff, our professional child care ensures that your little one will have fun, learn and explore the world while giving you complete peace of mind – you can see for yourself right here! To find out more about our daily routine or to visit our play school, please don’t hesitate to contact us for more information. Potty training is a big step for toddlers as well as parents, but with the right advice, this milestone can be achieved with minimal fuss – and mess. Here’s some great advice for any parent interested in starting the process, from our day care near Craighall. Step One: Readiness. In order for potty training to be a success, your child has to be ready to take this step. While children start to recognise by age one that their bowels or bladder are full, they will only be ready to start potty training at around 18 months at the earliest. In fact, some children only start at 3! Step Two: Know the signs. Signs that your child is ready for this next step include being able to follow simple instructions, being able to walk and sit, and being able to take off and put on pants. It’s also important to stat this training when your toddler is comfortable and in a stable environment – a new school, new caregiver or new home is a big adjustment, so wait a few weeks for things to settle down. Step Three: Equipment. You’ll need a child-sized potty or child-adapted toilet seat. This gets toddlers used to the concept of the big toilet. Many children are worried about falling into the big toilet or the noise it makes when flushing, so this equipment forms a comfortable middle ground. Having your child pick out their own potty is a great way of getting them enthusiastic about the process. Step Four: Routine and imitation. Children learn by copying you, so start a routine where you demonstrate how to tell if you need the bathroom, what’s going on with the toilet and how to pull down pants, wipe with toilet paper and wash hands afterwards. Step Five: Repeat and encourage. Fun books aimed at kids about potty training, encouraging your child to let you know whenever they need help with the potty and asking them if they need the loo to help them recognise the signs, will all help keep training on track. Remember, consistency is key, and although there will be a few messes and mishaps, it will all be worth it in the end! At Doodlebugs Play School, we know that this is a critical time of learning and development for your little one and we aim to support it through a holistic curriculum that teaches through fun, safe and age-appropriate activities. With plenty of peers to play with, extensively trained crèche and professional child care staff members to oversee all activities and a fun, childproof environment, we’re looking forward to bringing out the best in your child. Birthday parties are a great opportunity for bringing family and friends together to celebrate your little one! Planning one, however, can be stressful for parents – but it doesn’t have to be. Read these helpful tips from our play school near Hurlingham. Choose a theme: A theme might sound like a lot of work, but it can be very helpful, as it limits the activities for the party. It’s best to look through the shops first and then give your little one a choice between themes that you think they’d like. Not only does this make them excited and involved in the event, it also means that you know there are goodies and decor available for that theme. Write up a guest list: While some parents want to invite the whole class of kids, their parents, as well as other friends and family, others prefer a smaller and more intimate event. 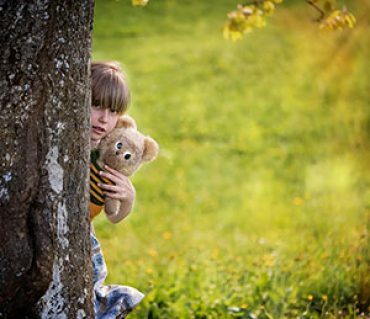 It’s also important to think about what suits your child – introverted children often enjoy the company of a few close friends, while extroverts thrive in big groups. 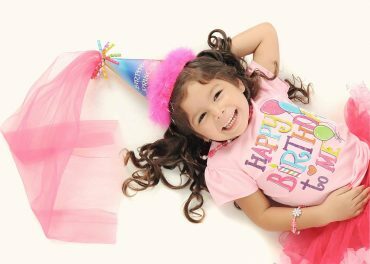 Venue: If your home isn’t suitable for a birthday party, or you’d like to have more space for activities, take a look at venues in your area. Parks, child-friendly restaurants, fire stations, child-friendly museums and countryside venues offer great spaces for children to play and explore – and you often don’t have to clean up after! Food: This depends on who is coming to the party and how long you want the event to last. Shorter birthday parties can get away with cake, ice cream and a few savoury snacks, while longer parties are going to need more catering. Choose foods that are easy to eat as snacks on the go rather than sit down meals, or make it part of the event, like a design-your-own pizza party, where adults and kids can get creative. Ask for help: Party planning can be a lot of work, even for the most organised parents, so don’t try and do everything yourself. Ask friends and family for help and let them pick jobs that suit them. Granny might want to bake the cake, a friend might have the perfect garden to host the event, and other guests might want to help bring food, set up or clear up after. Everyone is usually happy to chip in a little, especially if you’re there to volunteer to help at their events! Congratulations, it’s your child’s first day in day care! This is a big step for many parents as well as their children, and that can make it quite a stressful event. If you want it to go smoothly and stress-free for you and your child, follow these tips from our day care near Parkmore. Explain the schedule: If your child is preschool-age, they’re going to want to know exactly what will be going on during their time away from you. Talking about what happens at day care as often as they want will help reduce their anxiety and help them feel more confident in this new environment. Visit the centre with your child: When you’ve chosen a day care, speak to them about planning a visit with your child before they formally start. This will help your child get familiar with the environment and warm up to this big change in their lives. Often day care centres have open days, which are another great way for you and your child to find out what’s in store and meet teachers and peers. Make it special: Keeping a positive attitude will show your child that there’s nothing to be scared of and that day care is something fun. You can help make their first day even more special by having a new outfit for the day. This should help your child feel confident and excited to spend the day at day care. Don’t rush: Mornings are a busy time of day, so give yourself and your child some extra time to get ready. This will help prevent the stress and anxiety that comes with rushing around, ensures that nothing is forgotten, and that your child arrives at day care feeling happy and calm. Settle in but don’t linger: Arrive a few minutes early at the day care to help your child to settle in and take a little tour of the area. However, don’t linger too long as this will discourage your child from exploring and meeting new people independently. If you feel you are getting stressed or emotional, give your child a short, sweet and calm goodbye and try not to let them see it as it can bring up their fears. You can always phone the centre later in the morning to see how your little one is doing. Treat yourself: Starting day care is a big step for parents as well as kids, so it’s important to reward yourself for it. Whether you can treat yourself to a morning at a spa or your favourite pastry, it’s good to take some time for yourself on this special day. At Doodlebugs Play School, we offer a safe, loving day care, crèche and nursery school environment near Parkmore for your baby or children from 18 months to 4 years old. Fully supervised by our qualified, loving staff, our professional child care ensures that your little one will have fun, learn and explore the world while giving you complete peace of mind – you can see for yourself right here! To find out more about our daily routine or to visit our play school, please don’t hesitate to contact us for more information. Building a strong community for our children to succeed in starts with us as parents, teachers and adults. Developing community awareness in kids from a young age is all about teaching kindness and compassion, and these are qualities that will help your child live a happy and more fulfilled life. Here are some tips from our playschool near Craighall. Giving and receiving: We support our children’s wellbeing when we teach them that kindness is about giving as well as receiving – that helping someone can be its own reward. Acts of kindness help build new friendships, stronger relationships and more positive connections with peers, which boosts self-confidence and wellbeing. Volunteer: Age-appropriate volunteer activities are fun as well as fulfilling, so it’s worth setting aside one day a week or even one a month where you can volunteer your time as a family. Try pick activities that your kids already love, so that they are enthusiastic about the event. Visiting an old age home to share crafting activities with the elderly, participating in a walk for charity or walking dogs from your local shelter are all fun and rewarding family activities. Caring for animals: Getting a pet isn’t a decision that should be taken lightly, but they are a great way for teaching your child responsibility, empathy and kindness. Each family member can take on an age-appropriate job, like brushing your pet, feeding them, helping with a bath or taking them for a walk. If you’re unsure if a pet is right for you, visit your local shelter and volunteer some time as a family to see how your children respond. 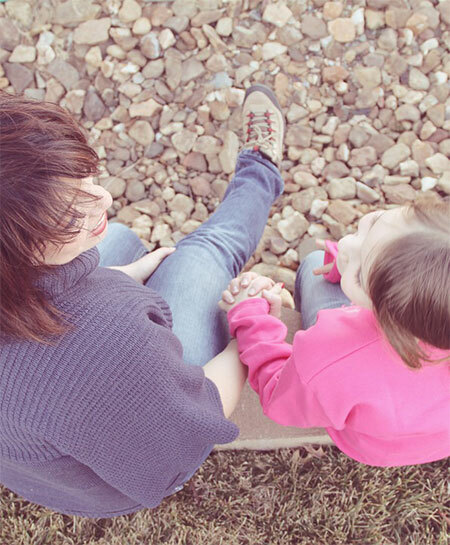 Talk about kindness: When you see examples of kindness, talk to your child about what a great thing you think they are and encourage them to look for kindness around them. When someone gets a reward for a job well done, donates old toys to charity or you see someone helping someone else, focussing on their kindness and how good it feels to help someone will teach them to value these feelings. At Doodlebugs Play School, we know that this is a critical time of learning and development for your little one and we aim to support it through a holistic curriculum that teaches through fun, safe and age-appropriate activities. With plenty of peers to play with, extensively trained staff members to oversee all activities and a fun, childproof environment, we’re looking forward to bringing out the best in your child. For more information on our daily routine or to visit our centre, please contact us today. We look forward to meeting you and having your child join our family! The human body is a wonderful thing, filled with complex systems that help us push the boundaries of our physical and mental achievements, and yet so many people have unhealthy relationships with them. The key to building a more body-positive, active and happy society is to start with children from a very young age – here are some tips from our nursery school near Hurlingham. 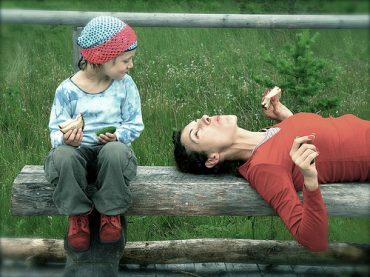 Be a good role model: This is one of the most important but often the most difficult rule to follow, because we often fall into the habit of not loving our bodies ourselves as parents and adults. Treat your body with care and compassion, and avoid saying negative things about it – treat it the way you’d like them to treat theirs. Feeling comfortable with their bodies is important: Try not to dismiss your child’s concerns about their bodies. Instead, help them find ways to feel good about their body as part of themselves. Remind them that bodies come in all shapes and sizes, and try and reinforce them by choosing toys that affirm their self-esteem rather than represent unhealthy stereotypes. Teach them that their creativity, unique talents and personality are important and treasured gifts as well. Heathy comes first: Parents can be strong role models for body positivity by changing the conversation from physical size or appearance to health and strength. Learning to see exercise and physical activity as a chance to have fun with friends and achieve goals together is healthier than looking at it from the perspective of weight loss. Appearance isn’t everything: When you’re talking to your child about their role models, favourite characters or people around you, pull their focus onto personality traits and achievements rather than physical looks. Talking about how kind someone is, what a good friend they are or how hard they worked to do something good makes a big impact on body positivity. At Doodlebugs Play School, we offer a safe, educational day care and nursery school environment near Hurlingham for your baby or children from 18 months to 4 years old. Fully supervised by our qualified, loving staff, our professional child care and holistic educational curriculum ensures that your little one will have fun, learn and explore the world in a safe and caring environment. To find out more about our daily routine or to visit our playschool, please don’t hesitate to contact us for more information. Playing dress up is a fun brain booster for all kids! Kids are always amazing their parents with the complex games and stories they invent and play out on their own and with friends. Dress up games are every child’s favourite, even with the simplest props and outfits, but what many people don’t realise is just how important these games are. Here are some developmental benefits of playing dress up, from our play school in Sandton. Brain development: These games actively develop your child’s memory and imagination, as they try to imitate the things they’ve seen around them or stories that they’ve heard. This can be anything from a trip to the doctor or grocery store, to the plot of their favourite movie. Problem-solving creativity: Imaginary play involves complex decision-making and rule-making. From deciding on who will play which role in their game to developing plot lines and solving issues in a scenario, these games help children think outside the box and plan ahead. Vocabulary expansion: If you’ve ever heard your children at play, you’ll know how much talking goes on! From developing and explaining rules to deciding what each character can say in each event and explaining the story itself, children actively engage and expand their vocabularies and language skills through these games. Emotional growth: Children are experiencing so many new things each day, and some of those things can be scary or difficult to understand. Role playing a visit to the doctor with parents or peers makes this event less scary, makes them feel more confident and in control, and helps see how these events fit into their lives. Empathy development: Empathy is a valuable thing for children to learn – it helps them learn how to put themselves in someone else’s shoes and see events through other people’s eyes. By pretending to be a fireman, doctor or teacher, children learn about the different roles that other people play in our lives. At Doodlebugs Play School, we offer a safe, loving day care and play school environment in Sandton for your baby from 18 months to 4 years old. Fully supervised by our qualified, loving staff, our professional child care ensures that your little one will have fun, learn and explore the world while giving you complete peace of mind. To find out more about our daily routine or to visit our nursery school, please don’t hesitate to contact us for more information.